Ok, so maybe this ruse is an obvious April Fool’s Day prank from Google in a long line of Easter Eggs from the search giant. But, you have to admit, this is pretty stinking funny. When I first spotted the post on the Keyword Blog, I will admit I wasn’t completely sure it wasn’t legit. Google is known for light-hearted shenanigans. Even know you can head over to maps.google.com and play a rousing game of Ms. PacMan, a fun distraction Google has implemented more than once in recent years. The latest piece of mischief is a Google Home dressed up like the traveling Gnome from those commercials you’ve probably seen. 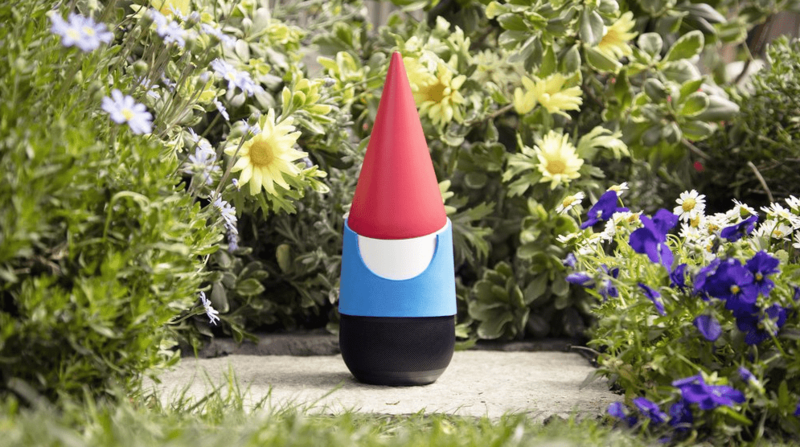 The blog touts the Gnome as the backyard counterpart to Google Home but with abilities tailored specifically for great outdoors. Funny stuff Google, Thanks for the laugh. Seriously though, if you make one of these with a laser beam can we get a review unit?